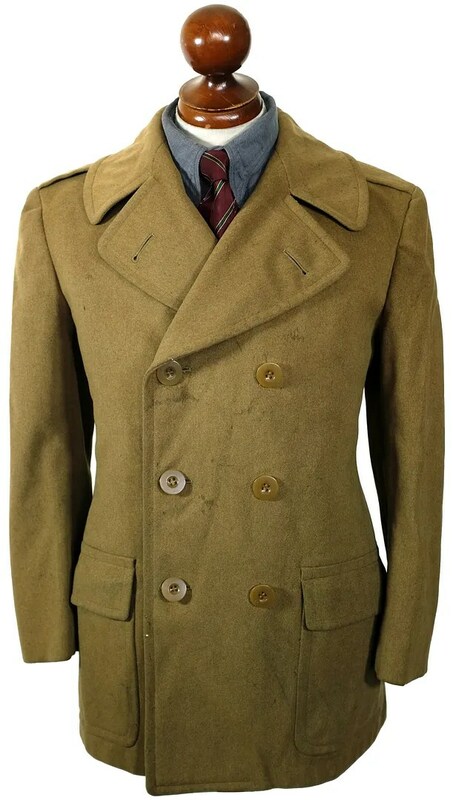 This vintage mackinaw was made to 1942 specifications, and was probably made in 1943. 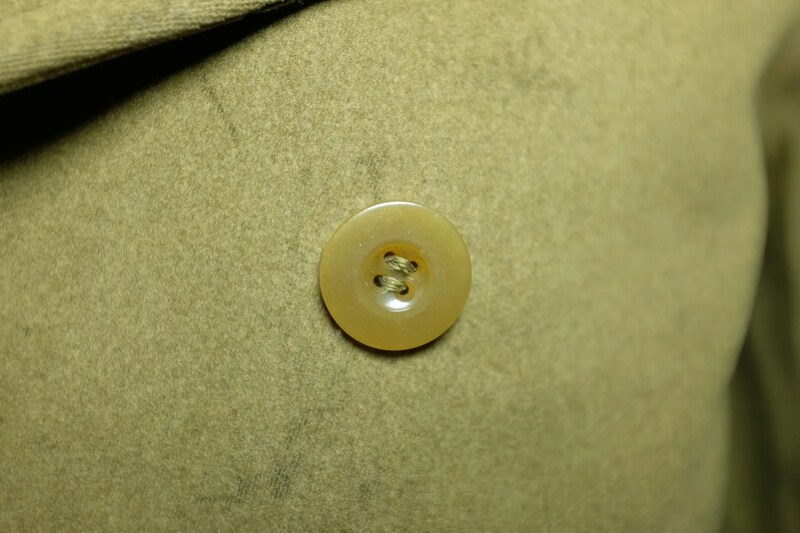 The official term was, Overcoat, Wool, Doeskin O.D. 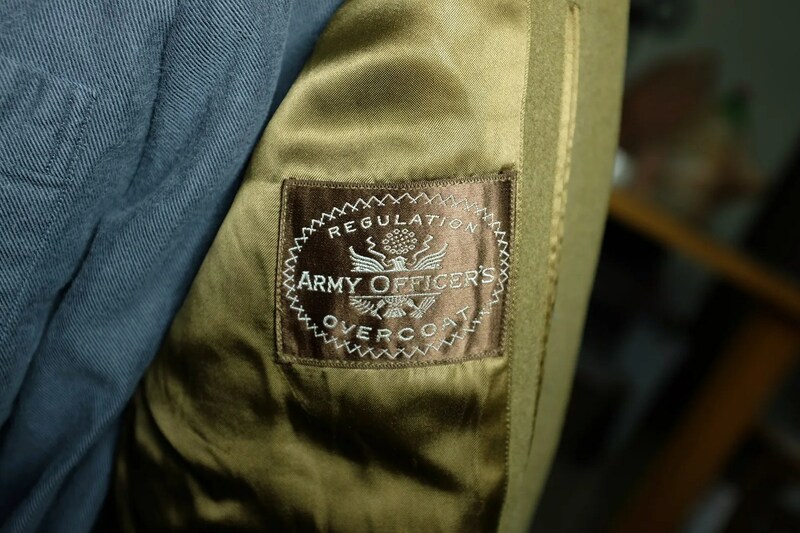 Officers Short Style. 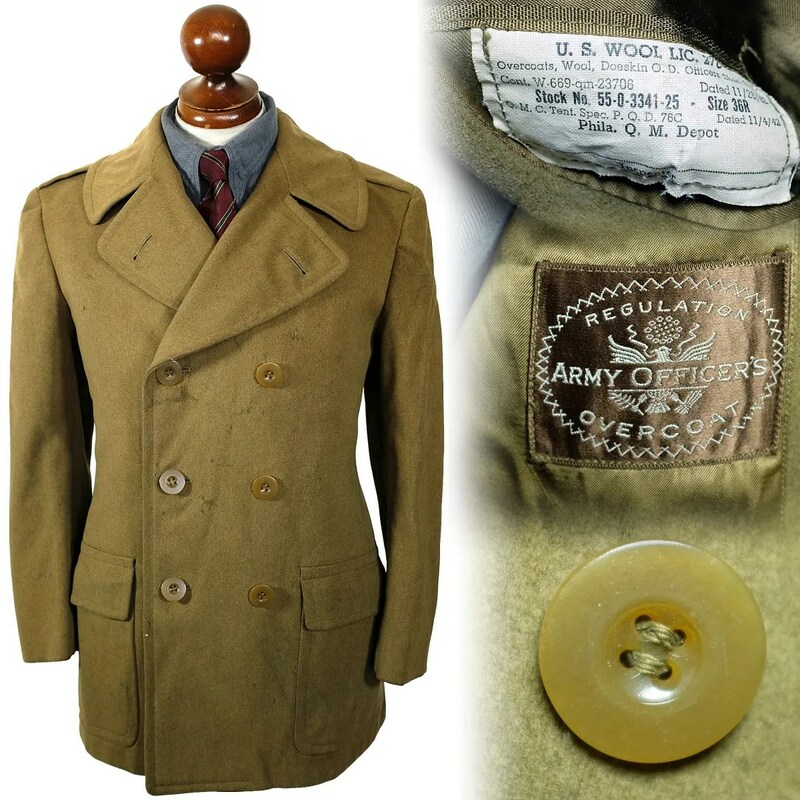 This was a successor to the shawl collar overcoats issued from the 1920s-early 1940s. I have one of those in a separate listing. 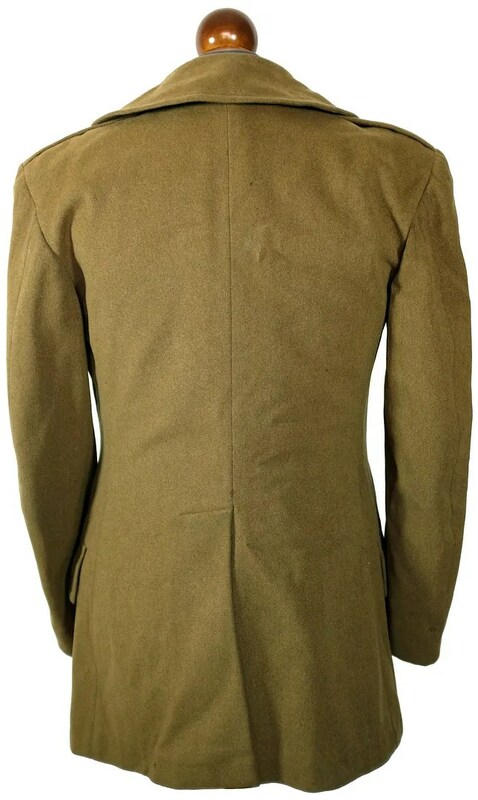 The coat is double breasted, with flapped cargo pockets and epaulettes. It is fully lined. 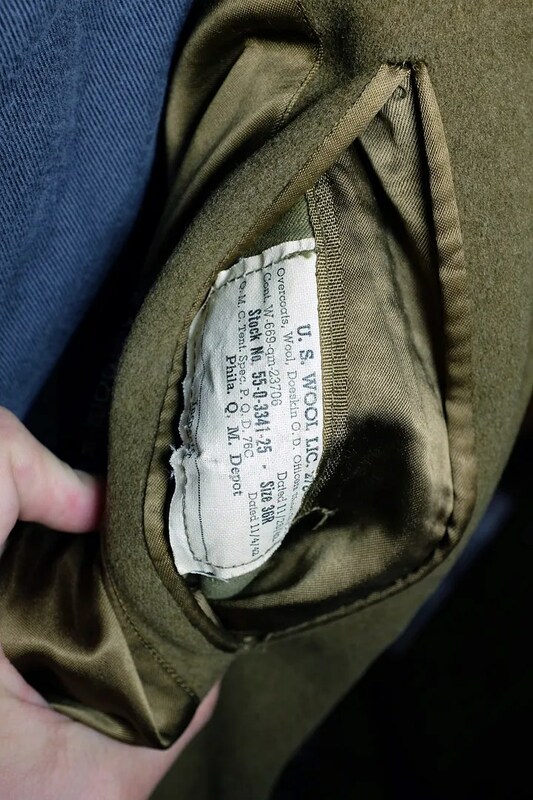 This entry was posted in Coats and tagged 1940s, 1942, army, clothing, coat, fashion, mackinaw, mens, officers, overcoat, style, vintage, WWII by Spencer Stewart. Bookmark the permalink.